Loam is the name for a texture of soil that contains a mixture of components to provide a healthy environments for most plant roots. Loam soil comes in a number of subtypes that offer different qualities for growing plants with diverse water needs. Understanding the benefits of loam soil and its advantages over other types of soil can help a gardener choose the right kind of loam soil for her plants. Soil texture is determined by the dominant soil component. Loam soil is a soil mixture with approximately even ratios of sand, silt and clay. Damp loam soil pressed into a ball will stay together until it is touched or moved. If touched, a loam soil ball will crumble apart. 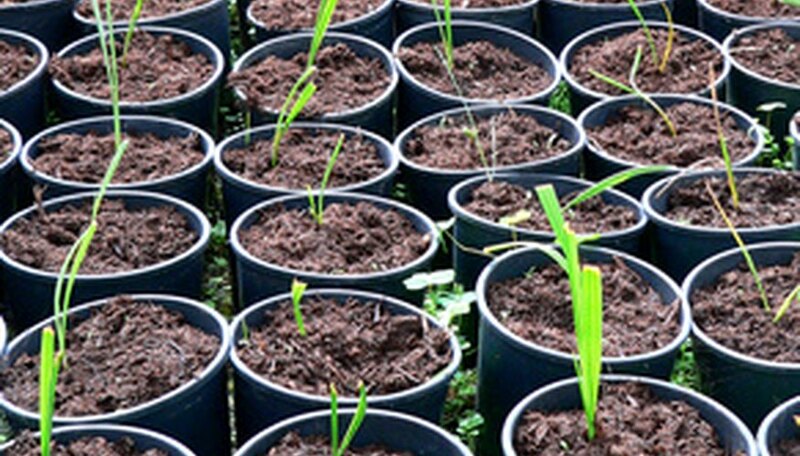 Growing plants in loam soil helps them thrive by providing a healthful atmosphere with a good balance of moisture retention and soil drainage. Loam soil also contains enough clay to keep nutrients in the soil. The different sizes of particles in loam sand help give a plant's roots the air, water and nutrients it needs to survive. Sand is made of larger particles than silt, and silt is larger than clay. The larger the particles, the more quickly they drain water. The total measurement of the ratios of the soil components is known as the soil texture. Other names used to describe the texture of soils include sandy soil, silty soil and clay soil. Loam soils are rarely pure loam and come in a large number of subtypes named depending on the different ratios of soil components. Soils that are mostly loam but with a larger amount of sand can be called sandy loam. A relatively balanced loamy mixture with slightly dominant amounts of sand and clay is called a sandy clay loam. Soils that are mainly sand but contain some loam parts can be loamy sand. Loam-based soils that have a significant amount of silt are called silty loam soils. Though loam soil works for almost any plant, using sandy loam soil can be better in some situations. According to Arizona State's "Turf Tips," sandy loam soil drains water about twice as fast as loam soil. Plants that require a great deal of drainage, like cacti and succulents, grow better in a sandy loam soil. Clay loam's extra clay helps it hold onto water, making it better suited for shallow-water aquatic plants like water lilies and lotus. Adding material to a soil to change its properties is called soil amendment. For plants that need more drainage or less drainage than the original soil provides, a gardener can add additives like vermiculite, perlite, organic material and clay to change the water retention properties of the soil. Soil can be adjusted from any texture to a loamy texture using the right amounts of soil additives.